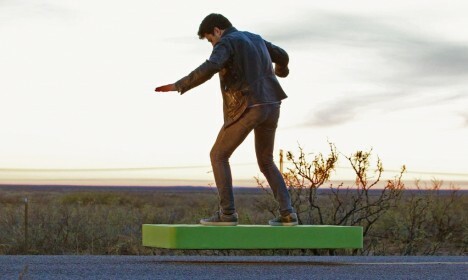 A lot of hoverboard fanatics were disappointed to learn that recent sleek-looking attempts were ultimately limited to skating above the surfaces of special magnetic plates, often carefully concealed beneath pavement or ramps, but this model goes above and beyond, using actual fans to float is riders. 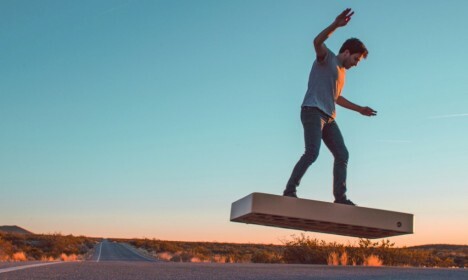 The ArcaBoard from ArcaSpace can hover a person for six minutes using a combination of 36 fans strapped beneath it – 300 horsepower lifting a human up to around 250 pounds. On-board stabilizers help keep it upright while a cooling system and aerospace-grade composite materials prevent overheating. 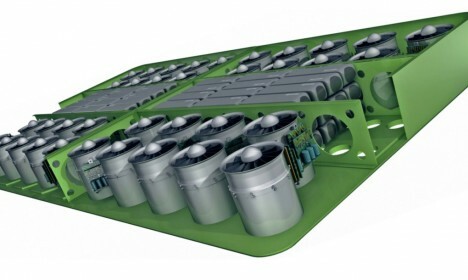 The device is not cheap, listed at $20,000 but really meant more as a proof of concept than good for purchase. It is still a long way from a cheap, sleek, off-the-shelf model, but at least this version is free of the constraints of other models, if only for a few minutes at a time. See more in Mods & Custom or under Transportation. February, 2016.